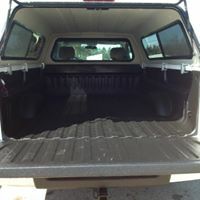 SPRAY -IN- LINERS - The Topper Shop Inc.
Spray in liners look great and are extremely durable! Ultimate’s High Pressure Liners has been an industry leader since introducing spray-on bedliners almost 3 decades ago. 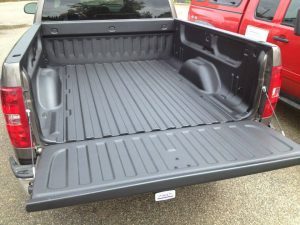 The versatile and durable High Pressure Liners are engineered to create an impenetrable barrier that protects more than just your truck bed. High Pressure Liners bond to almost any surface such as steel, aluminum, wood, concrete and fiberglass—the potential uses are unlimited!